Decline End Fall of Gupta Empire: Subsequent to the breakdown of the Kushana Empire in the north and Sattavahanas in the south, there was no big power which emerged. At this point in time, India came to be divided into numerous independent states which incessantly struggled for the gain of power. This absence of a strong control was, however, replaced by the Guptas who laid a very strong foundation by integrating all the independent kingdoms. Skandagupta’s rule paved the way to the decline of this Empire. Though the Gupta Empire tasted military success against the Pushyamitras as well as the Huns, yet the resources which were utilized during warfare completed depleted the economy of this Empire. In fact, the degraded coinage, as well as the lack of variety of coins, also justified the financial drain during this time. However, it was the death of Skandagupta and the brief reign of King Puru which made this declines a more rapid one and the subsequent rulers were incapable of exercising a proper control over the entire Empire. The last Emperor under this dynasty was Buddha Gupta who tried to arrest this decline. However, he couldn’t do much to stop this since the feudatories of Kathiawar and Bundelkhand had become almost independent by that time. Apart from this, the Maitrakas of Valabhi also became hereditary rulers and eventually also emerged independently. The provincial governors of regions like Bundelkhand, Uchchakalpa etc also declared themselves to be independent. Additionally, the local governors of Jaipur, Uttar Pradesh, and Narmada valley also became de-facto independent and sovereign. All this gave a huge blow to King Buddha Gupta. 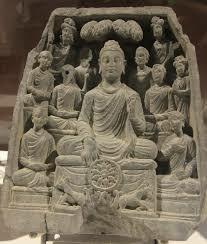 To top all this, the Vataka invasion in the Malwa region diminished the control of King Buddha Gupta. Thus, due to this disintegration which crept in the Gupta Empire the stage was set for its decline and only augmented subsequently to the death of Buddha Gupta. The principal reason for the decline of the Gupta Dynasty was believed to be due to the internal frictions which took place in the royal family. 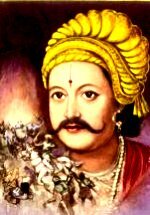 After the death of Kumaragupta I, there arose a dispute on the grounds of succession. Finally, it was Skandagupta who took over the throne in spite of the continuance the internal factions among the successors. This drastically declined the honor of the Gupta Empire. This internal struggle weakened the authority of the central power among the provinces as well as the feudatories. Also, the Vatakas in the Deccan region was one of the strongest contenders to the Gupta Empire. Chandragupta concentrated his attention majorly in the east and hence the west region where the Vatakas resided was unharmed. Chandragupta II subsequently entered into a matrimonial alliance with the Vatakas by getting married to Prabhabati Gupta who was the daughter of the then Vataka King Rudrasena II. Disputes occurred between the Guptas and the Vatakas because the successors of Chandragupta II could not maintain cordial relations with the Vatakas. As a matter of fact, during the reign of Buddha Gupta, the Vataka king Naredrasena invaded Malwa, Kosala, and Mekala. This invasion had a drastically negative impact on the Gupta Empire and considerably affected the control of the Guptas over some of the regions of Central India and Bundelkhand. Subsequently, the Vatakas also expelled Gupta Empire’s control from the regions of Malwa and Gujarat as well. The successive Guptas were neither able to check the disintegrating attempts within its empire nor were they able to have a strong centralized rule or administration. This absence of a strong centralized rule also added to the then steady decline of the Gupta Empire. Provincial administration was at its weakest point and the regional or provincial governors exercised a great amount of supremacy and freedom. The royal exchequer at this point was under severe drain and consequently, the Gupta Empire ran out of money and was hence unable to distribute money to these provinces for the purpose of carrying out its administration effectively and efficiently. Over a period of time, these local governors, as well as feudatories, declared themselves independent which further weakened the authority of the Gupta Empire. Soon, the Gupta Empire split into a number of smaller independent provinces which were controlled by the independent governors who earlier worked under the authority of the Gupta Empire. The final blow to this Empire, however, was the recurring Hun invasions. Internal discord among the Gupta Empire was already at its peak at this point in time. To top this, the Hun invasions added fuel to the fire which resulted in the decline of the Gupta Empire. The Huns who invaded plundered all the wealth from the Guptas royal exchequer thereby weakening the military power of the Guptas. Apart from this, the Huns also put the last nail to the coffin by completely destroying the prosperous trade relations with Rome. Also, the ports and markets of western India were also devastated by the Huns and their fellow associates. 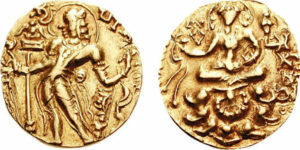 The reign of the Gupta Dynasty was popularly also referred to as the “Golden period” in the history of ancient India. However, like what happened with the other such powerful dynasties, even the Gupta dynasty declined due to the absence of a powerful ruler post the rule of Skandagupta apart from some regional or local reasons which contributed in their own way to the decline of this illustrious dynasty.